PCC has been designated the KLAS Category Leader for the Ambulatory Specialty EMR segment of the 2019 Best in KLAS Software & Services Report. 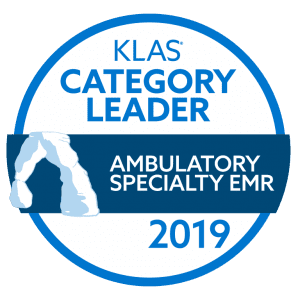 Our top-ranked EHR is the #1 choice for independent pediatricians nationwide. Get more Peace of mind. We help you run a smarter pediatric practice. 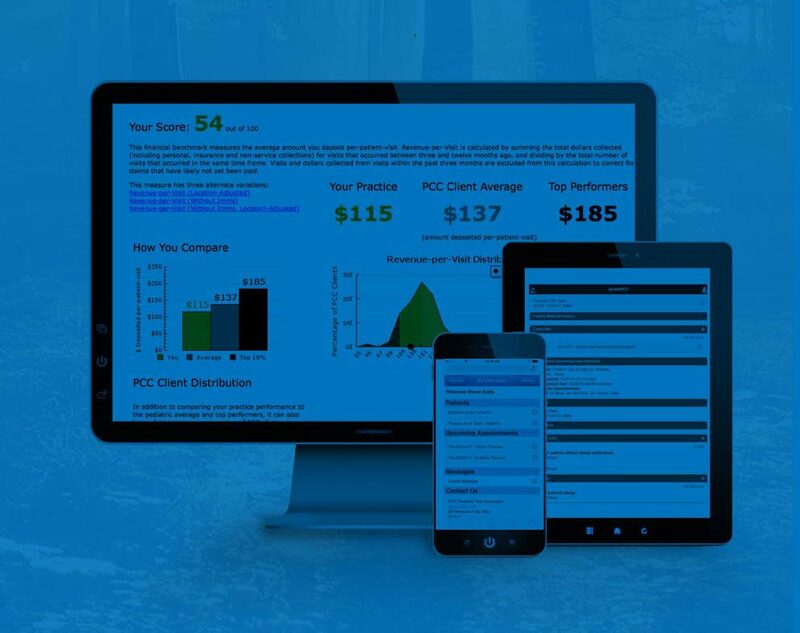 100%of PCC clients say we "keep our promises"
Understanding key performance indicators is essential to the success of your pediatric business. 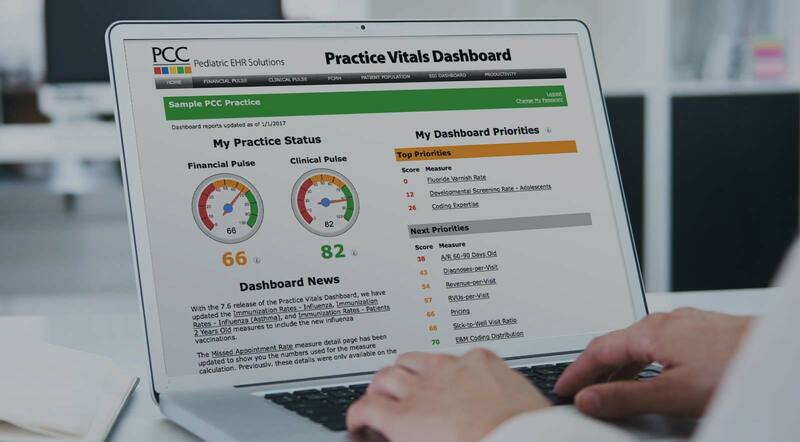 Measure your practice performance against your peers and let us help you with decisions that can bring you clinical and financial success. We are nationally recognized for the superior customer service, training, consulting, and support we provide. You dedicate yourself to your patients. We dedicate ourselves to you. Our solution supports you every step of the way, navigating the changing healthcare landscape. See for yourself how we help you run a smarter practice. “Six years ago, I switched to PCC, who has, in my opinion, the premier pediatric practice management system. It was the best move I have made in my ten years of private practice. With only a few clicks, I can review a multitude of meaningful and easy-to-read reports. I can also create my own custom reports for things that are important to my practice. I know when claims are denied, and why. PCC notices too, and proactively corrects them, resubmits the claims, and sends me an email. Since I also do my own payment posting, I can review ERAs quickly and spot discrepancies. You really need practice management consultants to navigate the complexities of the world of insurance, and PCC provides this service to clients as part of our monthly fee. Talk with us about your needs, your goals, and your workflow. Together we’ll explore how your practice can continue to provide the best possible care while becoming more profitable with PCC.